The estate covers 60 hectares of vineyards in both the Borderies and Fins Bois terroir of the region. Led by René-Luc Chabasse, the cognac house has a long and troubled history that dates back to well before the French Revolution. Once a thriving and prosperous estate, the St Robert Convent fell into rack and ruin following the French Revolution in 1789. Before that, the estate consisted of an elegant farmhouse, chapel and fresh water spring that was said to have medicinal qualities. Centuries later, a chance visit by René-Luc Chabasse led to the re-birth of the estate, and the vision and passion of one man to restore the house and surrounding vines to their former glory. After many years of back breaking work and effort, the estate of St Rob has been restored to its former glory. Today the house produces a small but high quality range of cognacs, ranging from a VSOP through to an EXTRA quality. 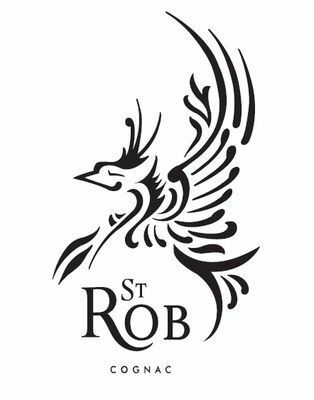 Specialising only in older quality cognacs (the youngest being a VSOP - and an XO and an EXTRA), St Rob Cognacs are a delight for the artisan cognac lover, and offer exceptional value for money. There is no information about visitig the cognac estate. Contact them directly for more details.